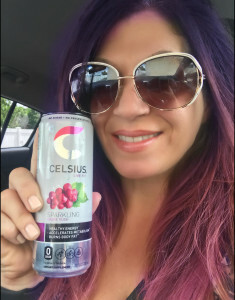 Enough about me, let’s focus on the real superstars…..
One of my absolute favorite bloggers enticed me with a product that combines two of my necessities (cold brew and horchata) with the benefits of Keto Collagen. What is collagen and why is it important? Well, in the simplest of terms it is the most abundant protein in our bodies and is found in muscles, bones, skin, blood vessels, digestive system and tendons. Collagen helps give our skin strength and elasticity in addition to replacing dead skin cells. It is basically the “glue” that helps hold the body together. As an avid runner with 7 half marathons under my belt in less than a year, I need this in my life. 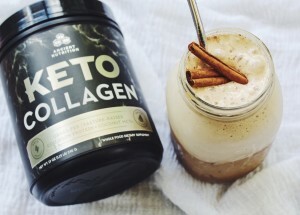 With that being said, I am now anxious to try Keto Collagen by Ancient Nutrition. Lord knows I do not get enough sleep and this has always been an issue of mine. As a busy mom always on the go, sleep is something I crave and definitely need more of on a regular basis. I love how Run DMT breaks down the essentials of getting enough sleep and why it is so vital in our lives. I never realized that the lack of proper rest can lead to injuries, decreased motivation, lack of mental concentration, motivation and more. Now I know that I must make getting plenty of rest a priority and not only will it help me physically, it will help me mentally. WTF Wednesday, National Running Day, we’ll take your mini horse but not the goat. I have needed bit of motivation for running lately as I took a month off due to an mild injury, Up & Humming inspired me with her WTF Wednesday post on National Running Day which just slipped my mind. In her post, she covers both the dual National/Global Running day and the tragic, apparent suicide of a fashion icon, Kate Spade. While I will not dig deep into this, I must focus on the importance of mental health and taking care of ourselves. As someone who has been through an emotional rollercoaster recently, I can’t stress enough the importance of taking care of ourselves both mentally and physically. I hope you all have an incredible weekend and be sure to check out these phenomenal bloggers.